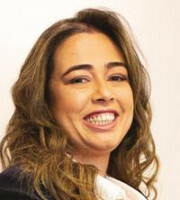 Laila dos Reis Araujo is an experienced lawyer specialised in trademark, copyright, domain names and IT law in Brazil. Ms dos Reis Araujo has been working with intellectual property for 10 years, advising domestic and foreign clients and managing their trademark portfolios in Brazil and abroad. She carries out prosecution work before the Brazilian Trademark and Patent Office, advising clients on measures to be taken and possible decisions. Ms dos Reis Araujo joined Peduti Advogados in 2008 and now leads the firm’s international department, providing strategic consultation for foreign clients in Brazil. She strives to give clients personalised advice which helps them to secure the best possible protection for their trademarks. Ms dos Reis Araujo is a member of the Brazilian Bar Association and the International Trademark Association. Formerly, she was a researcher at the National Council for Technology and Scientific Development, where she conducted research into traditional knowledge and biopiracy in Brazil. Ms dos Reis Araujo has lectured on IP-related matters at various companies and associations. She speaks English, Spanish and Portuguese.